I ran across an interesting article in the Hartford Courant (reprinted below). It presents in interesting dilemma for the rural community. The Governor has been encouraging Connecticut to become more environmentally friendly, pushing for more solar and natural gas development for clean and renewable sources to supply our energy needs. While this is great for the environment there is now a growing concern about the impact of loss of valuable forest and farm lands. One project has been approved in the Eastern Connecticut town of Sprague in which 134 acres of forest land will be cleared to make way for the solar energy field. That project will put up 97,000 solar panels to product around 20 megawatts of power. Hampton may have 35 acres of trees cleared for another solar farm. The siting council has approved another project in Pomfret which will be situated on more than 100 acres of farmland. Other solar or natural gas projects are slated for Bozrah, Griswold and Killingly. This is causing a conflict between the need to meet clean energy goals and the goals of preserving valuable farm and forest lands. The Forest and Park Association is concerned over the loss of these core forest areas while other groups are concerned over the loss of farmlands. It is not that there is a drive to stop the development of renewable energy in the state. Some have expressed the opinion that some of these solar farms could be placed in areas that would not be as detrimental to our forestland and farmland such as closed dumps and old strip malls or old industrial developments. What is ironic is that the State is indirectly subsidizing these renewable energy projects while is it also spending millions on farmland and forest preservation. This issue deserves more thought and discussions between different agencies and interested parties. HARTFORD – As Connecticut continues to spend millions of taxpayer dollars to preserve its dwindling farmlands, the state is indirectly subsidizing major solar projects that are gobbling up prime agricultural acreage. “It doesn’t make sense to me,” said Paul Miller, a Woodstock dairy farmer who recently lost access to about 100 acres of prime farmland in nearby Pomfret that is being leased or sold for a proposed solar project. The land in the Woods Hill project would be taken out of corn and hay production and used to install nearly 70,000 solar panels for electricity generation. “In my view, it’s the greatest threat to agriculture and the land available for farming today,” state Agricultural Commissioner Steven Reviczky said last week of Connecticut’s solar-vs.-farmland controversy. The issue is complicated not only by the competing goals of increasing renewable energy and preserving farmland, but also by concerns about the property rights of farmers. Some farmers see solar as a potentially key source of revenue that might allow them to continue raising crops on the rest of their land. Concern about this policy conflict among state energy and agricultural officials, farmers and outside experts is rapidly increasing as the pace of solar development accelerates. Reviczky said just five of the solar array projects now under consideration in Connecticut would use up more than 680 acres of valuable and productive agricultural land. He said there may be as many as 100 such solar developments being planned. Those projects are part of a surge in solar proposals that have come in response to the system the state set up to provide incentives for renewable energy. The program’s goal is to reduce Connecticut’s reliance on fossil fuels for electricity generation by promoting sustainable, non-polluting energy sources like solar. Under the program, state-approved projects can get long-term contracts to sell energy at above-market prices to utilities. That enables the developers to get financing for a solar project – effectively providing an indirect state subsidy. While the state is encouraging solar energy, it also spent $9.7 million in 2015-16 buying development rights to protect 1,631 acres of farmland. Reviczky fears that Connecticut’s rapid push for more solar power will swallow up thousands of acres of productive farmland before the state can protect it. Gov. Daniel P. Malloy’s administration is now struggling to reconcile these two often conflicting state policies. “This is an issue we see becoming more critical for us to address every passing day,” said Katie Dykes, head of the state’s energy office. Reviczky said this trend of solar projects taking over important farmland isn’t “just here in Connecticut.” He said this type of “competition for the best of the best farmland” is happening all over the northeastern region. State solar policy should discourage the development of key farmland and push to have these large solar arrays placed on brownfields, closed landfills and other industrialized areas, according to Reviczky. The difficulty is that those kinds of properties would cost more for solar companies to develop. “The solar companies have figured out that large, open farmland is the easiest to convert,” said Henry Talmage, executive director of the nonprofit Connecticut Farm Bureau. The least costly option for big solar arrays is to find generally flat, open land that doesn’t need to be cleared of trees. Talmage describes the problem as “a kind of collision of two good ideas and unintended consequences” and as “one of those things that’s complicated.” The farm bureau two years ago opposed one General Assembly bill designed to provide added protections for key farmlands because Talmage’s group feared it threatened farmers’ property rights. The company behind the Pomfret project is RES Americas Inc. Company officials failed to respond to requests for comment. Miller believes that state support for solar development is the reason the company behind the project can afford to pay such high land costs. According to Miller, the property owner can lease that land to the solar developer for six or seven times the $200 per acre per year that Miller can afford to pay. “I guess I don’t blame him,” Miller said. Another complicating factor is that many Connecticut farmers don’t want the state to place more restrictions on what they can do with their land. 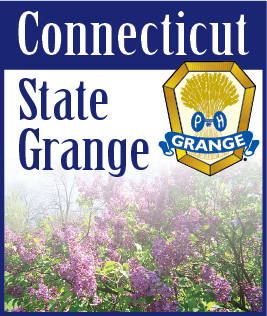 “It’s not a simply answered question,” said Catherine Osten, who is both first selectwoman of Sprague and a state senator representing 10 communities in eastern Connecticut. Talmage said the farm bureau, which represents about 2,000 active Connecticut farmers, said his group is conflicted about exactly how to find a solution. “We’re in a box,” Talmage said, citing the dual desire to save farmland from development while preserving the rights of farmers to use their property as they see fit. The Pomfret project brought this issue into sharp focus in the past few months. The Woods Hill plan has the backing of Pomfret officials, and the siting council found there would be no environmental problems from the proposed solar array. “The loss of 102 acres of highly productive farmland will have an adverse impact on one or more farms in the Woodstock-Pomfret area as they struggle to find similar quality and quantity of land to farm,” Reviczky warned. He argued that state and federal law require that the potential loss of important agricultural property needs to be considered if a proposed facility is getting public support. In a written response to the siting council, a lawyer for RES Americas said there is no evidence that solar arrays have long-term negative impacts on farmland. Dykes also said that it’s possible the land could be returned to agricultural uses in 20 or 30 years when the solar panels reach the end of their operational effectiveness. She said it’s also possible those panels might simply be replaced when they start to lose their generating capacity. “I don’t think it’s realistic to assume … that the land would go back to agricultural production,” Reviczky said.